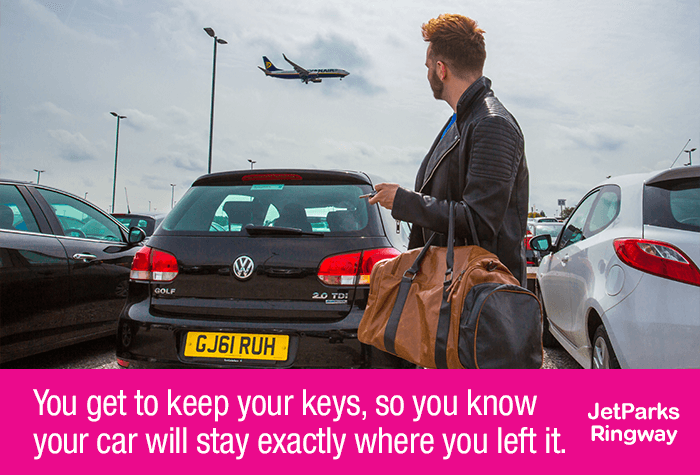 Park your own car and keep your own keys when you park at JetParks Ringway, Manchester Airport. 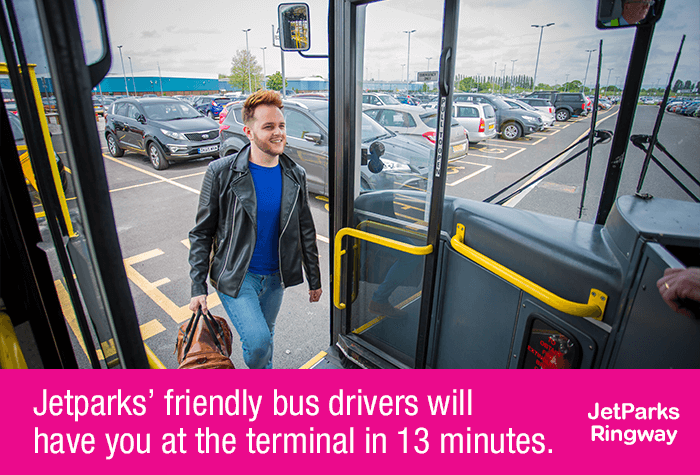 Just drive in, park and catch the shuttle bus to the terminal. It takes 4 minutes to Terminal 3, 8 minutes to Terminal 2 and 13 minutes to Terminal 1. While you're away, your car will stay exactly where you left it. 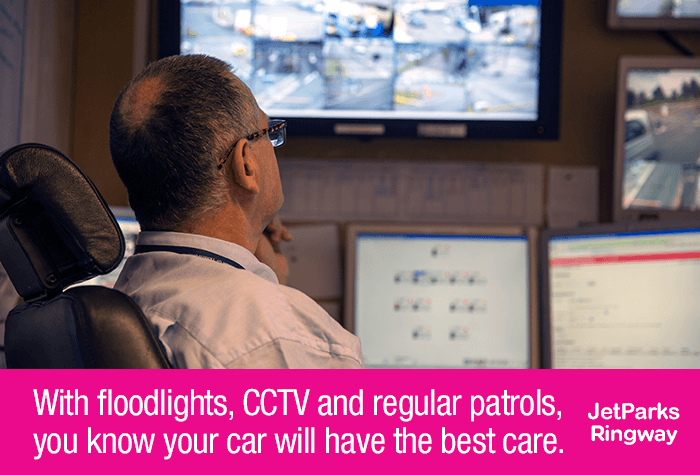 The JetParks car park is secured, with CCTV, 24-hour patrols and has entry and exit barriers in place so you know your car is in good hands. When you get back from holiday, just hop on the bus back to the car park, pick up your car and head home. 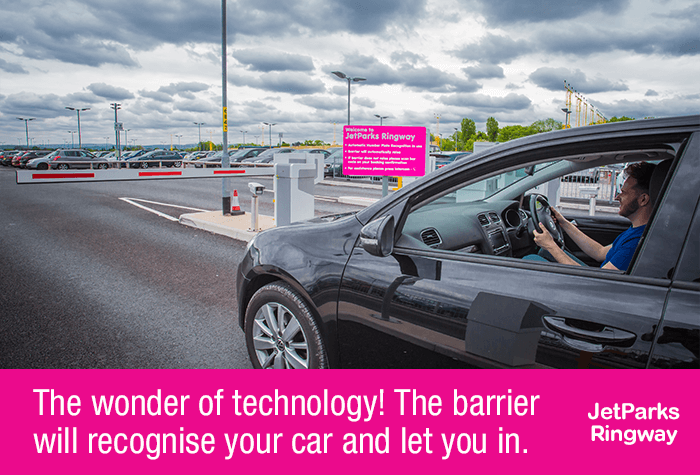 If you want a car park that puts you in control, then JetParks Ringway is a great option. 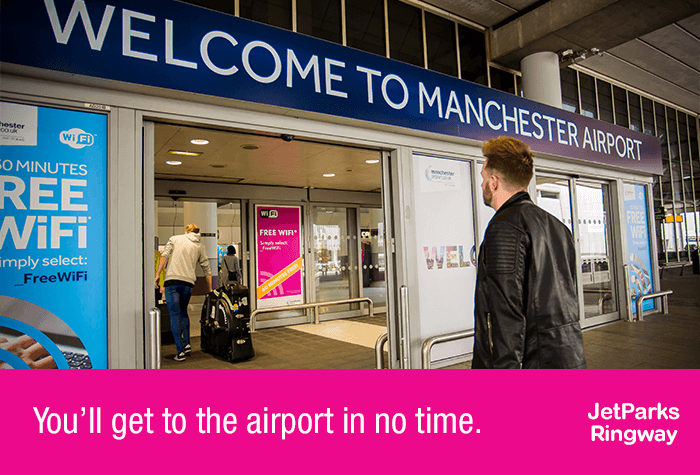 To compare with other services, take a look at our Manchester airport parking page. 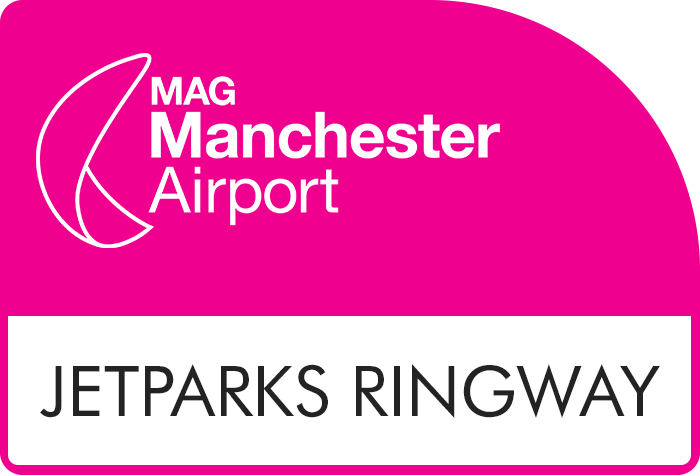 JetParks Ringway is affordable and close to all three terminals, with a maximum bus journey of 13 minutes. Park and keep your keys. On arrival, the barrier will recognise your number plate and rise automatically. Park and make a note of the area you have parked in, then head to the bus stop. 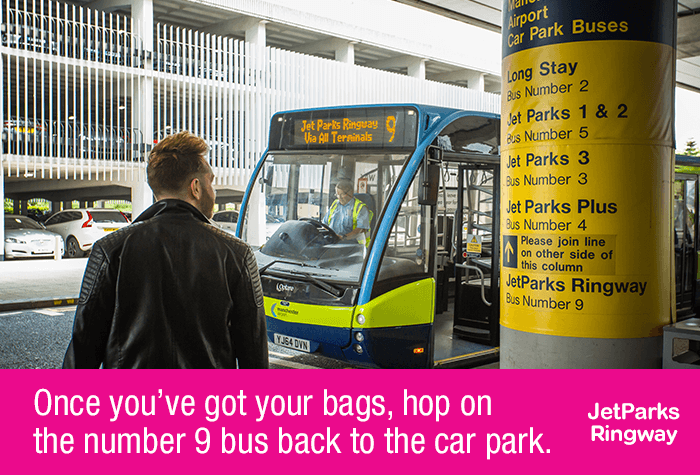 The number 9 bus will pick you up and take you to the terminal. 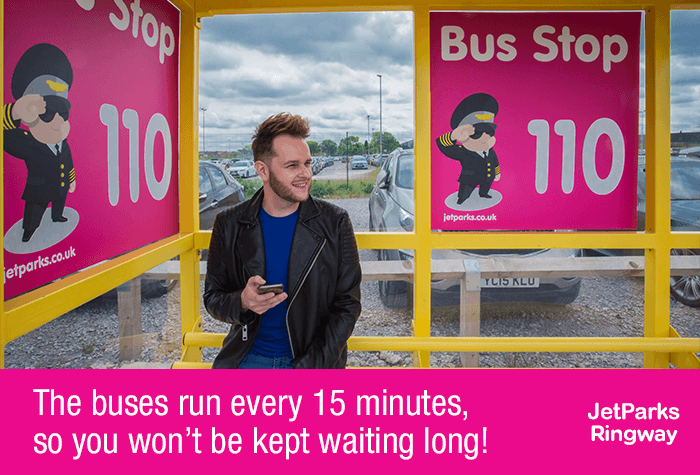 Buses run every 15 minutes, 24 hours a day. The journey takes around 4 minutes to terminal 3, 8 minutes to terminal 1 and 13 minutes to terminal 2. The shuttle bus is included in the price. Accessible spaces for Blue Badge holders. Three bus stops in the accessible parking area. If there are any problems, press the button with the telephone symbol on it at the barrier and someone will help you. The car park doesn't take trailers. There aren't any toilets at the car park. 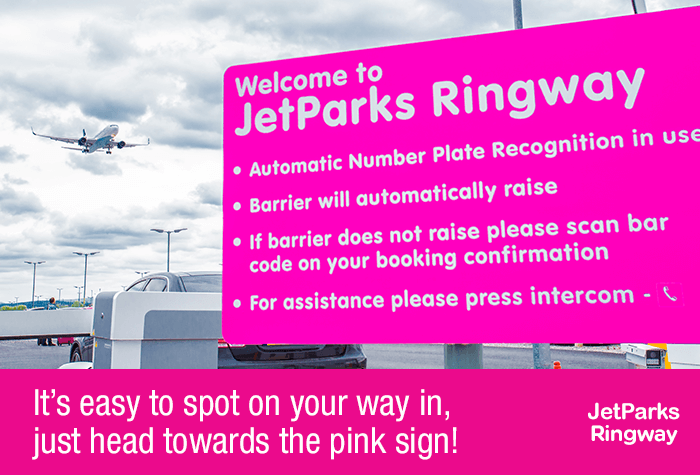 Once youve parked, keep your keys and catch the number 9 bus, which will be labelled JetParks Ringway. The shuttle bus takes up to 13 minutes, runs every 15 minutes, 24 hours a day. Its included in the price. Once you have collected your luggage, head to bus stop 9. 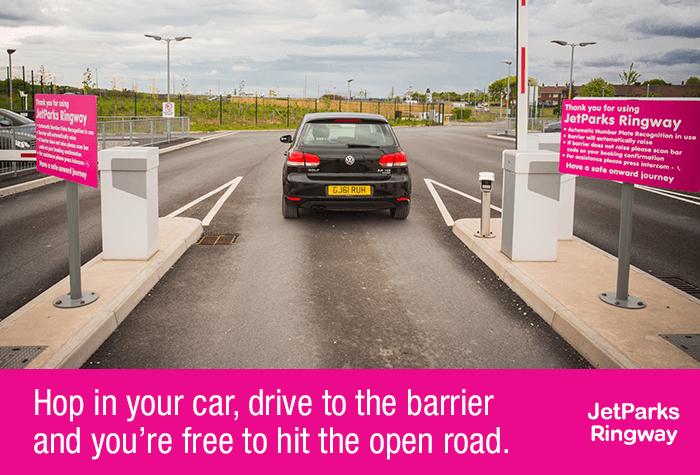 Once you are back in the car park, make your way back to your car and head to the exit, where the barrier will rise automatically. Directions for travel to Jet parks Ringway at Manchester Airport were not helpful. Information about road signs quoted was inaccurate.. Also signs to "JPR" were not in place where stated. We got lost!! Our customers rated Jet Parks Ringway on average 9/10 (1305 reviews). Read Jet Parks Ringway reviews.